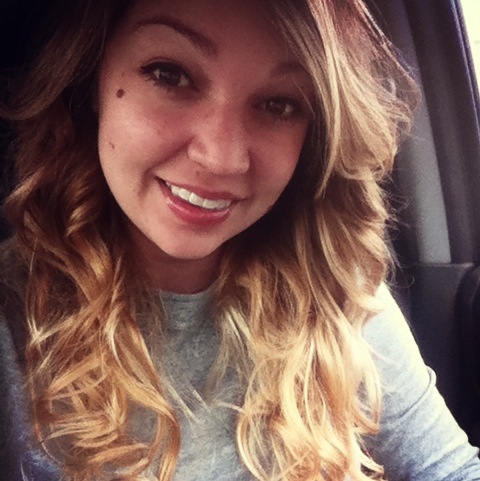 My friend and co-worker Jordi came to work the other day with the prettiest waves. 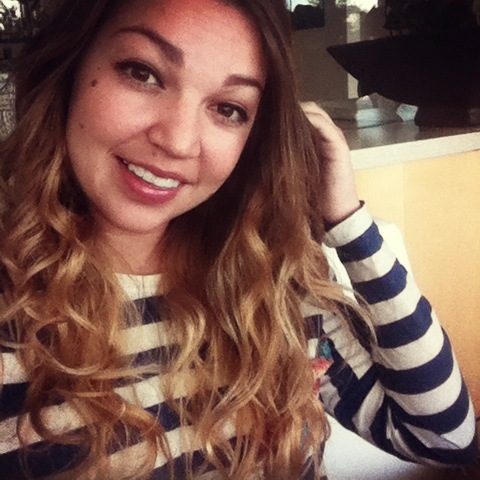 When I found out she achieved this beachy, gorgeous look with no heat I immediately asked her to share the steps on my blog. Here you go! Like every other female with access to the internet I can say that I’m on Pinterest a fair amount of time. Though, my favorite pins to discover are those that allow me to sleep in an extra 20–30 minutes before work. 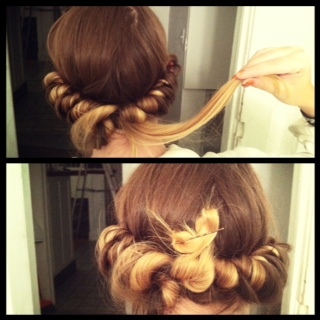 When I first discovered the sock bun trick it was a dream come true … so when one of my past managers, Amanda , challenged me to a NEW easy hair-do she found I was more than happy to oblige. 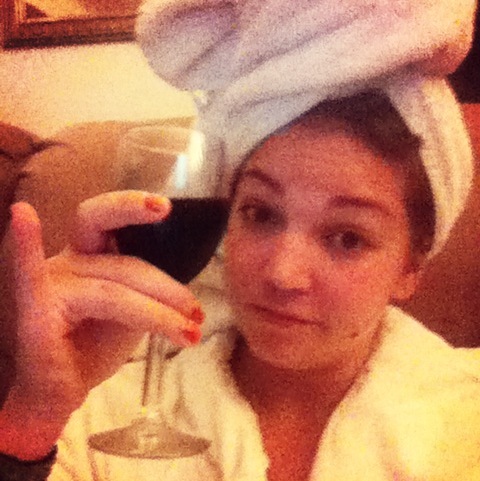 Shower and then sit around with a towel on your head drinking some wine whilst pinning until you hair is “towel dried.” If you are impatient feel free to blow dry your hair a bit, but make sure it’s still a little damp. Pick a product that will help those curls stick! 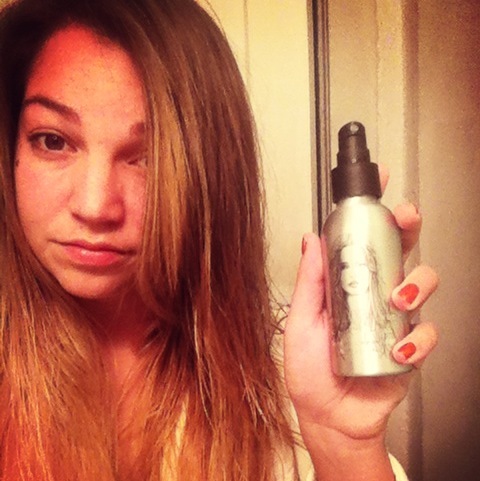 I bought Charlotte Ronson A Perfect Mess Beach Hair a few weeks ago at Sephora and could not honestly tell you how it should be used when I initially bought it, but I figured it had to be pretty self-explanatory if there weren’t instructions on the bottle right? … I’m a sucker for packaging. 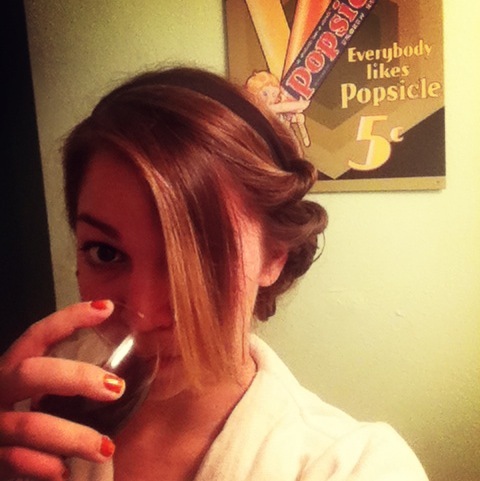 Turns out it’s perfect for this lazy girl no heat curl. If you don’t have this particular product you can basically use anything that is meant to “enhance waves” (I also like Wonder Waves by Garnier) or just use a light mist of hair spray. CAUTION: do not use too much hair spray or else you have a hard sticky hair situation in the morning. #Gross. Put a medium sized cloth headwrap around your head like all the cool hippy hipsters do. Once your headwrap is in position you are ready to start wrapping! This seems trickier then it actually is I promise. (Or maybe this just seemed tricky to me…?) First, if you have bangs I suggest pulling them out of the way and not including them because it just looks funky. 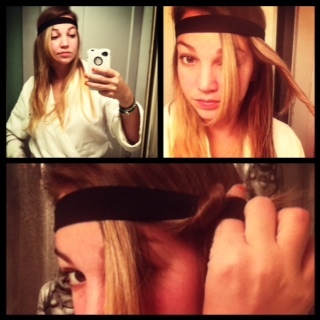 Next, take a good section of hair and twirl it around your fingers, then pull up and over through the headband. Repeat this step on both sides of you head until you reach the back of your head and run out of headwrap. If my ramblings have confused you there is also a video for you to refer to. If you have long hair you may need to MacGyver a weird little mini bun in the back and use a bobby pin to place it in an area that won’t bug you to sleep on. Step four: More wine then sleepy time! Wake up, pull that baby out and BAM! Curl city! I like to just run my fingers to adjust but you are also welcome to use a round brush to fluff it out a bit (second option did not work out so well for me). And there ya go! Thanks to Arantha for asking me to post my awesome lazy girl find and I hope you enjoy. May the lazy girl force be with you!